It's Christmas at Patreon! I'm writing and podcasting a return to the world of One Among the Sleepless. Not a sequel, and definitely not a novel, but simply a chance to catch up with some of the surviving characters and find out what they did next. 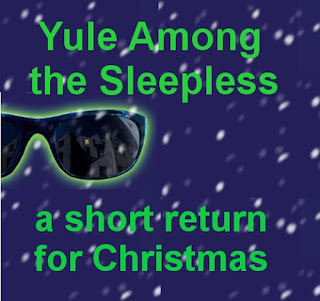 Episode One of the Yule Among the Sleepless podcast is available now, exclusively at Patreon, for patrons paying $1 a month and up. MB featured on Ken Scott's Website.